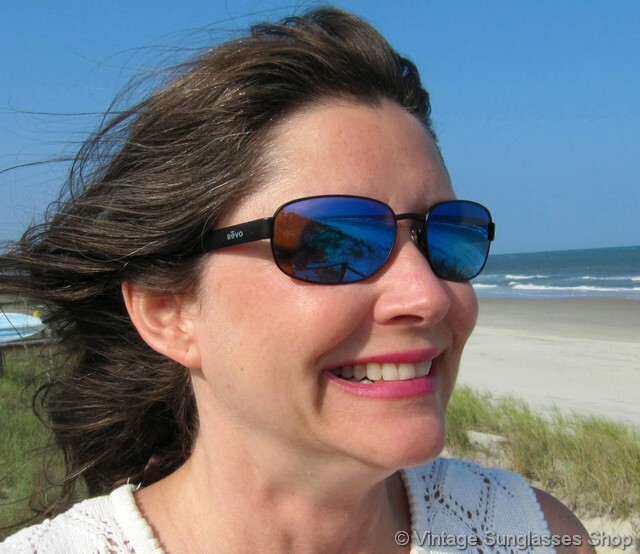 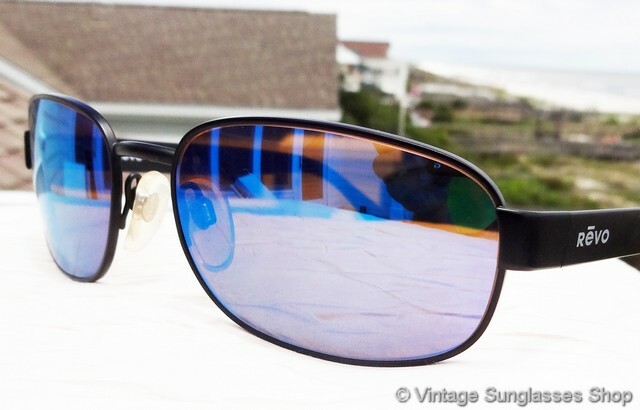 1 Vintage Revo 3002 001 sunglasses have a sleek industrial design that still remains elegant, combining a matte black Italian frame with Revo blue mirror lenses for one of our favorite color combinations among vintage Revos. 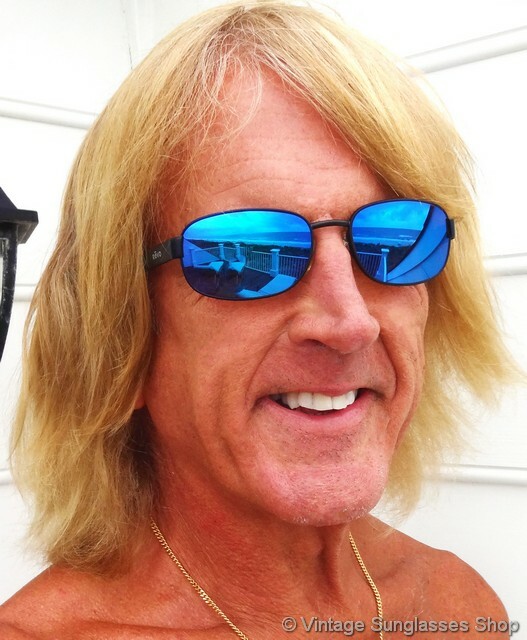 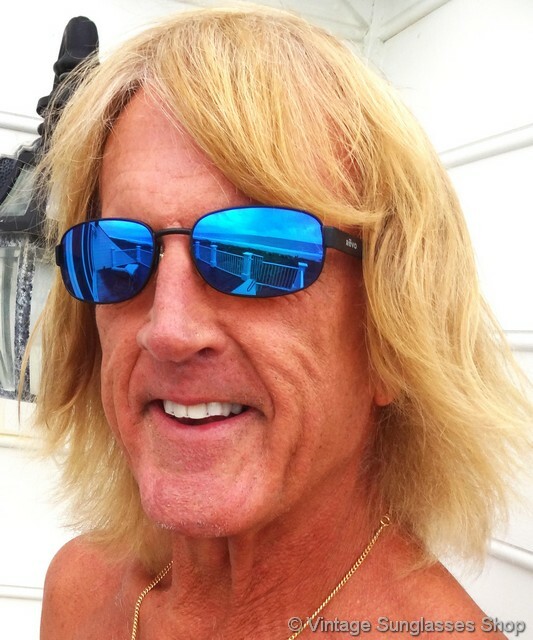 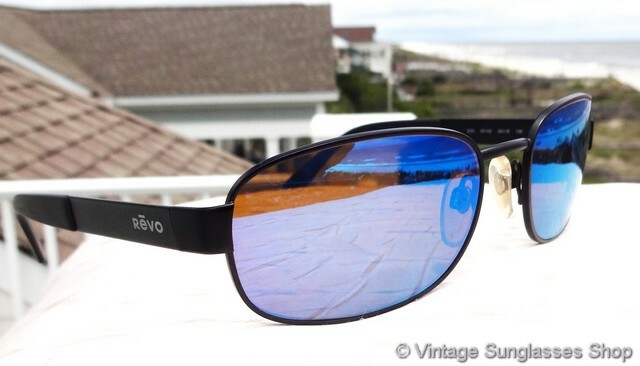 The brushed metal look of the ear stems and intricate construction of the frame along with Revo's famous mirrored lenses makes Revo 3002 sunglasses enduringly popular among vintage fashion afficianados and sunglass collectors alike. 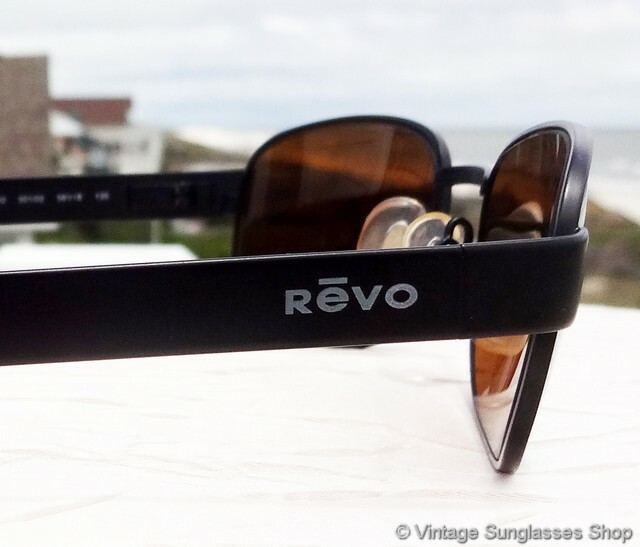 You'll find the Revo logo embossed on the exterior of both ear stems, and the inside of one ear stem is marked 3002 001/02 58  18 135 while the inside of the other stem is marked Revo Made in Italy CE. 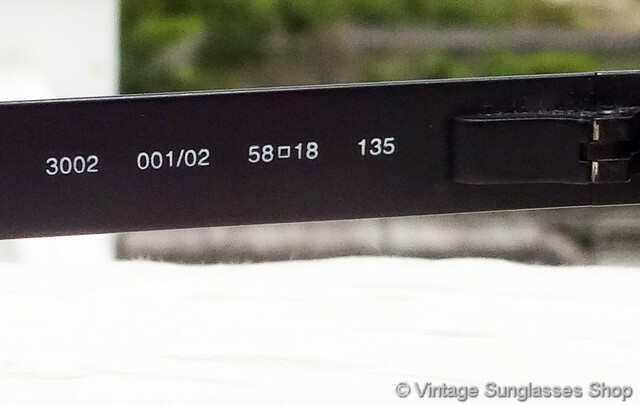 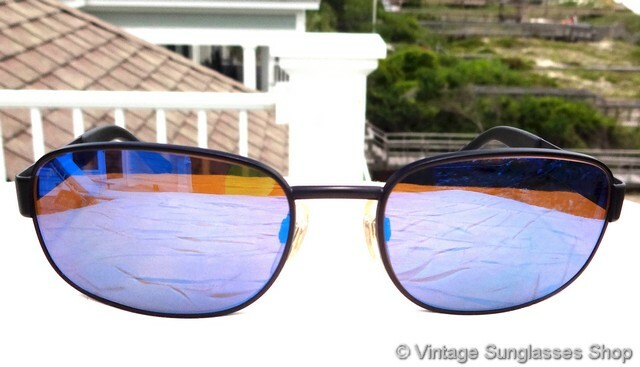 The unisex frame measures approximately 5.25" temple to temple, and the blue mirror lenses measure 2.125" x 1.375" at the widest points, part of a Santa Barbara, CA estate collection of fine vintage eyewear and sunglasses from the 1980s and early 1990s. 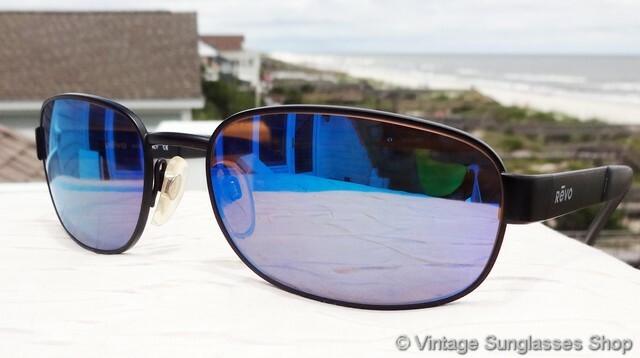 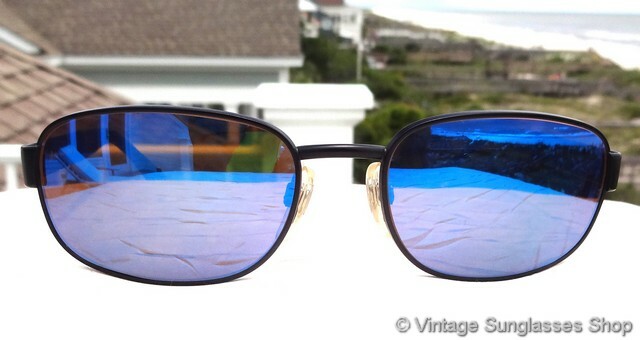 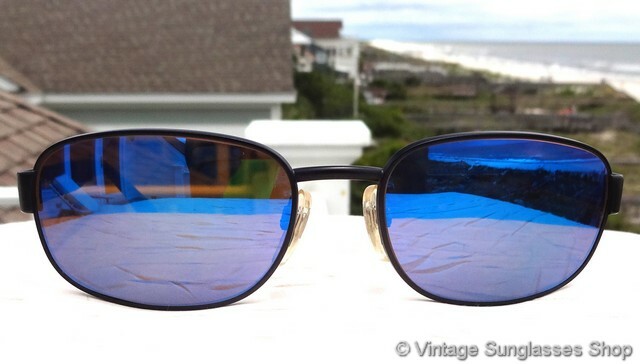 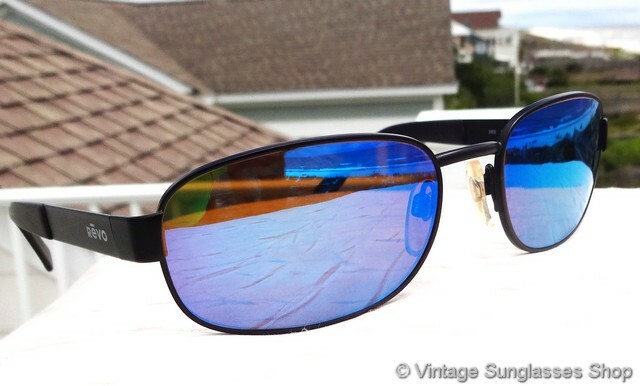 2 Step up another level beyond our already unequaled vintage condition standards with new old stock Revo 3002 001 blue mirror sunglasses in mint, unworn condition.